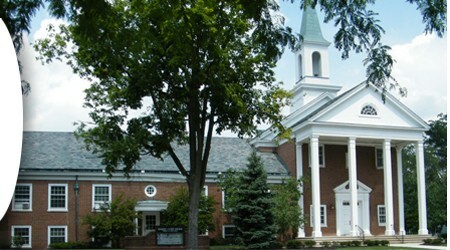 Market Street Presbyterian Church - Lima, Ohio - Listen to the Carillon Concert! Sunday Oct 18, 1pm - We dedicated our new carillon! This new Schulmerich electronic carillon is capable of performing thousands of tunes with true-to-life bell sounds. It uses high-fidelity recordings of cast bells, Flemish bells, English bells, and harp bells to produce the authentic sounds of true carillons. 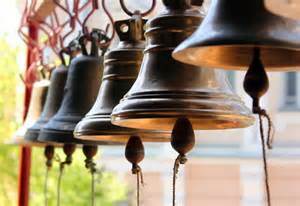 These bells are also coordinated with our 42-rank Schantz pipe organ so that both can be played together in joyous new musical combinations! This is a wholly new use of carillons that was not possible before the electronic carillon. It is our privilege to welcome Dr W Robert Morrison as our special guest musician for our festival dedication concert on Sunday Oct 18 at 1pm! He is a Fellow of the American Guild of Organists, with degrees from the Peabody Conservatory, Johns Hopkins University, and Westminster Choir College. His teachers included the legendary Virgil Fox and Marcel Dupre. His carillon teachers included James Lawson of the Crystal Cathedral and Arthur Bigelow of the Princeton Graduate Tower carillon. 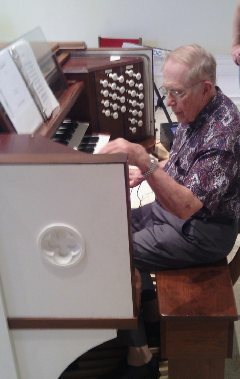 He was parish musician at the downtown Methodist church in Canton OH for 45 years (with an 86-bell Schulmerich carillon) and is now at St Mark's Episcopal in Canton. He played the Schulmerich carillon at the 1964 World's Fair in New York City and the Tower City carillon in Cleveland. He has dedicated organs and carillons in Ohio, Kentucky, New York, New Jersey, and Maryland.